* This is my column in BusinessWorld last April 16, 2018. This quote should be remembered by people who keep on insisting the urban legend that we can banish coal power in our lives soon, that wind, solar, and other intermittent renewables can provide 100% of our electricity needs. That is far out. 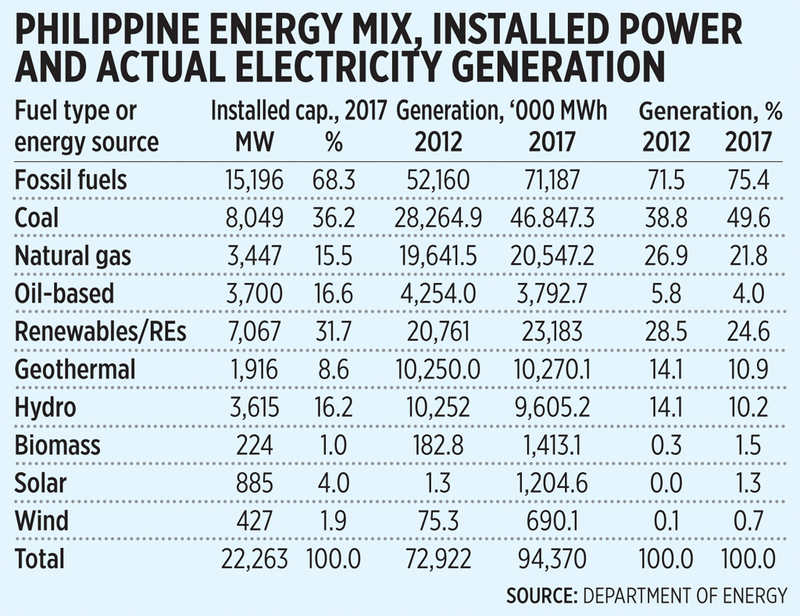 Despite the Renewable Energy (RE) law of 2008, despite the generous subsidy to RE companies via feed-in-tariff (FiT) — which provides subsidies for REs for 20 years — wind and solar can provide only 2% of the country’s energy needs as of 2017. Coal, for its part, provided one-half of our total national electricity needs (see table). These numbers show that as of 2017, (a) coal installed capacity was only 36% of total but its actual power generation was almost 50% of total; (b) oil-based plants constituted 17% of installed capacity but generated only 4% of total because these oil plants are used mainly as peaking plants or they run only during peak demand hours to prevent blackouts. Among renewables, geothermal and hydro provide the bulk of power generation. Solar-wind have nearly 6% of installed capacity but contributed only 2% of power generation. And this brings us to four recent energy reports in BusinessWorld last week. 1. PHL announces large-scale renewable projects (April 12). 2. DoE studying shift in energy mix to 50% baseload (April 11). 3. DoE may step in as licensing body for retail power suppliers (April 12). 4. Boracay closure to raise Aklan power rates, legislators say (April 12). 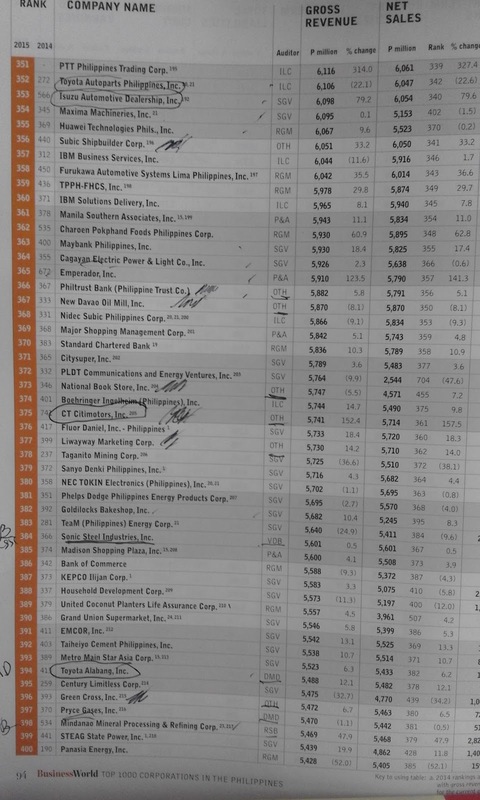 Report #1 is about the Board of Investments (BoI)-approved eight solar projects worth P86B ($1.7B) to be rolled out from October. 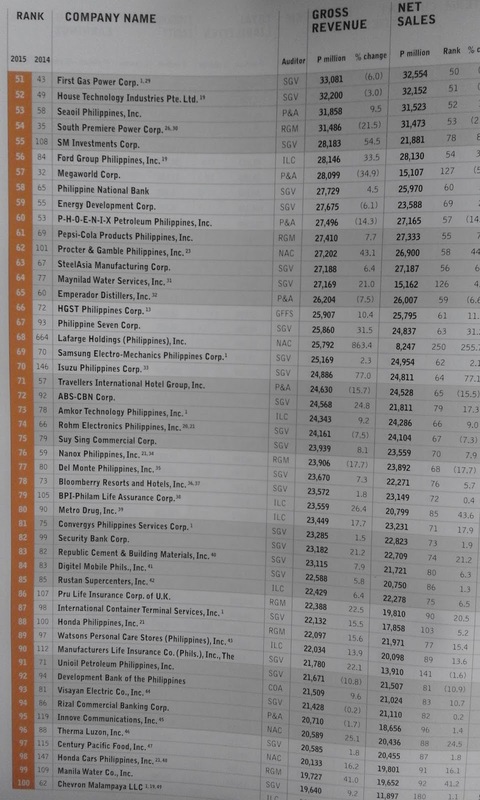 The largest is the Iba-Palauig 2 Solar Project, 140 MW worth P19B. 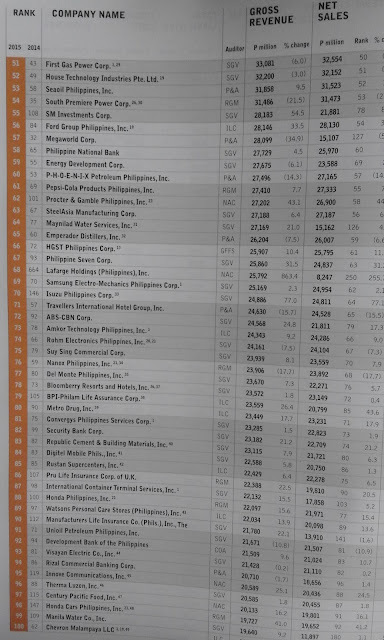 Second largest are two projects in Cavite, 392 MW valued at P17.3B. 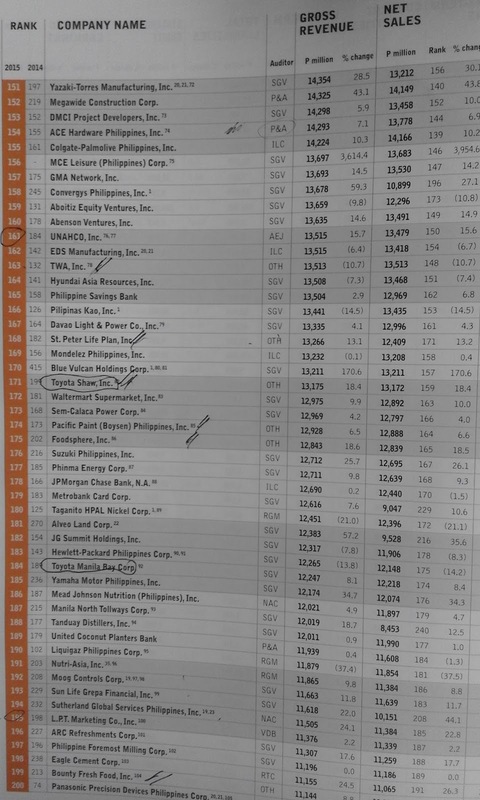 That is a lot of money that asserts that solar can be a reliable source for the Philippines. Report #2 is about the DoE studying a change in its previous energy mix policy of 70-20-10 for baseload (power plants running 24/7), mid-merit, and peaking plants respectively, to a new policy of 50-40-10 for baseload, flexible, and peaking plants respectively. DoE projects that from 2018-2025, a total of 8,618 MW new capacity will be added to the country’s power grid, 6,325 MW of which will come from coal plants. Report #3 is about the DoE studying the legality of being the issuer of licenses for retail electricity suppliers (RES), a function by the Energy Regulatory Commission (ERC) governing the implementation of retail competition and open access (RCOA). RCOA is among the beautiful provisions of the EPIRA law of 2001 because it allows electricity consumers the option to choose their own power suppliers. But RCOA was issued an indefinite temporary restraining order (TRO) by the Supreme Court on Feb. 21, 2017. Consumers can set their own conditions from their RES. Thus, some consumers can demand that they be supplied 100% only from renewables even if the price is higher. The Green Energy Option (GEO) of RE law of 2008 encourages this. Meanwhile, some consumers can demand that they be supplied 100% only from cheap and stable sources. Report #4 is about Aklan Electric Cooperative (AKELCO) seeking to recoup losses of about P17-M a month associated with the closure of Boracay for six months. It has a power purchase agreement (PPA) with four power generators for 42 MW and they are required to pay for them whether the power is used or not. So AKELCO will increase its rates by P1.62/kWh to the rest of Aklan electricity consumers. Report #1 does not heed the advice of Alessandro Volta and actual data on Philippines power generation and hence, run the risk of bad investments in the future. Report #2 and new policy will convert some of those new coal plants to become mid-merit instead of baseload. This policy reversal might sour future investments in reliable coal power. Report #3 is positive, affirming consumers’ rights to choose their own energy mix. The DoE should ultimately shy away from announcing its preferred energy mix. Report #4 shows that the arbitrary closure of Boracay is bad not only for businesses in the island but also for businesses and households in the entire Aklan province. Government, both Malacañang and DoE, should learn more to respect consumer freedom. 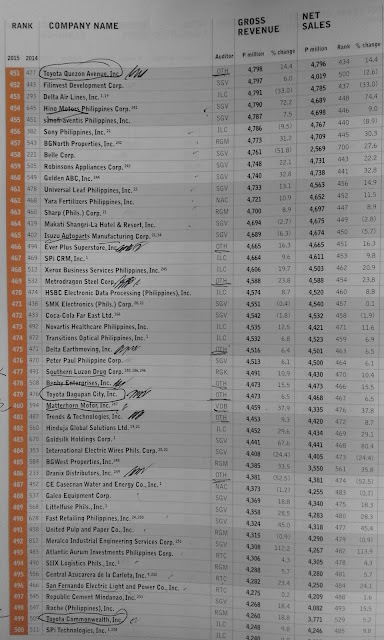 Two days before the Boracay closure last Thursday April 26, the PSE was among the worst performers that day in the Asia Pacific (AsPac) market. Ytd decline was -11%, wow. 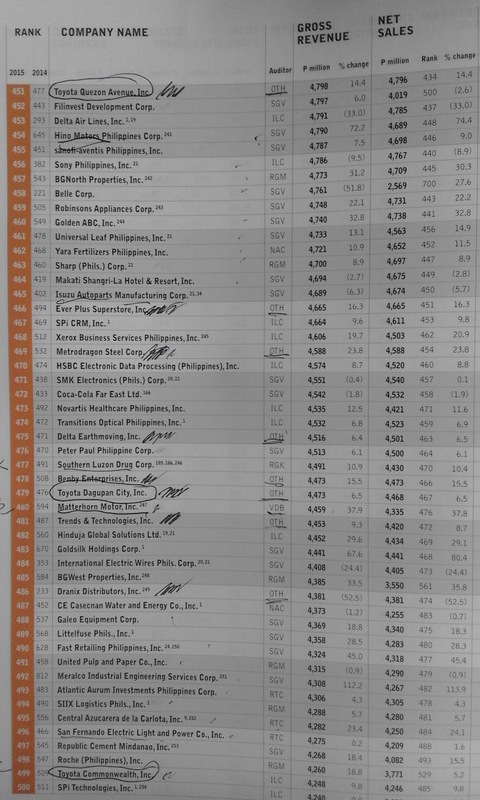 Second worst was the Duterte-beloved China and its various stockmarkets. 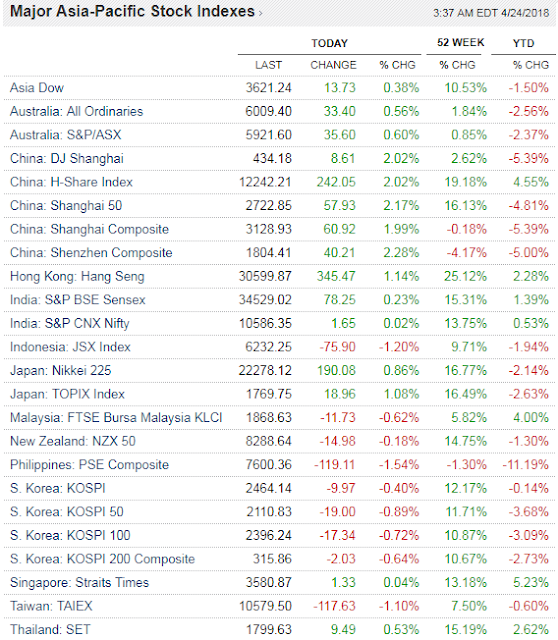 Data from http://markets.wsj.com/asia. 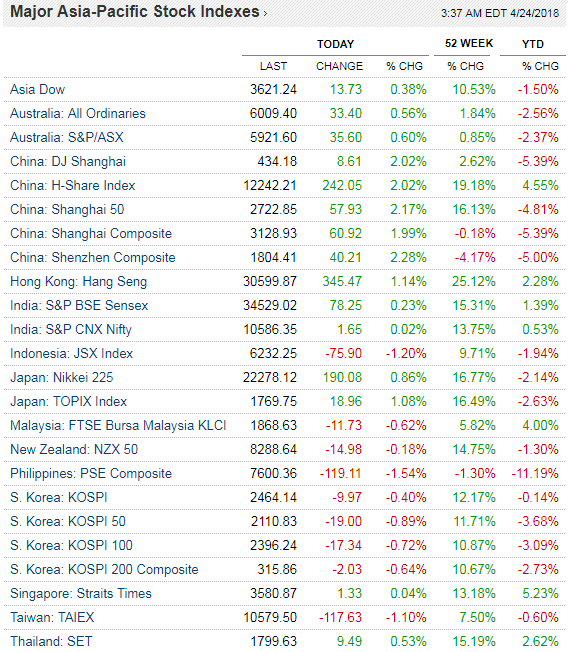 Last Friday April 27, the Korea Summit was around 8:30am PH time, many Asian markets were about to open. It was positive for all markets in Aspac except China Shenzhen. And today, the business optimism has continued. Good. 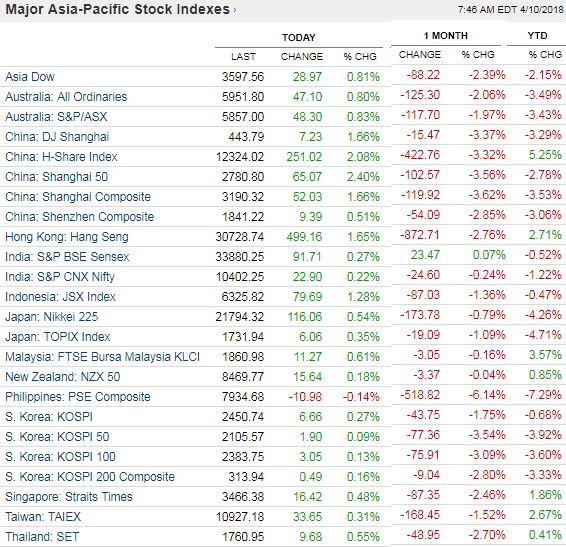 And the PSE has improved, ytd decline is down to -8.6%. People and businesses love peace and absence of war. Trabaho at negosyo lang, tigil na mga gyera -- just business and jobs, end wars -- please take note of that, governments around the world. I like these news reports last Friday, April 27, 2018. More talks and saliva are a lot better than more bombs and missiles. * This is my column in BusinessWorld last April 12, 2018. There are two similarities between the mining industry and Boracay. The first is that both have small contributions to GDP, and the second is that both can be closed by the Duterte government for six months without any compensation to affected enterprises including environment-compliant ones. Mining companies and Boracay establishments show the face of business uncertainties in the country. Mining production is 0.6% of GDP while Boracay production of services is 0.1% of GDP, an amount that is “very insignificant” according to the National Economic and Development Authority (NEDA). By extension, the six-month closure Boracay island will adversely affect only a few number of businesses and jobs. That’s a very flawed argument. In early 2017, the former DENR secretary who was rejected by the Commission on Appointment (CA) issued a ban on open pit mining. That ban has not been lifted until now even though the Mining Industry Coordinating Council (MICC) has already recommended ending the ban. 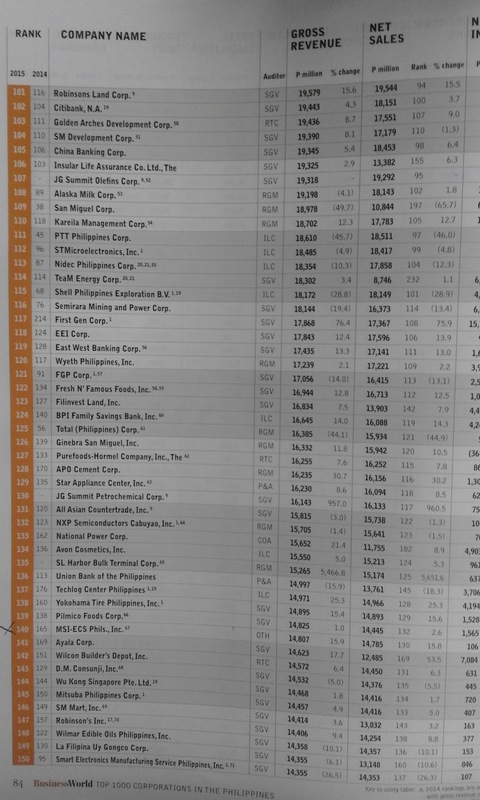 The continuing investment uncertainties in Philippine mining are partly discussed by the Fraser Institute’s “Survey of Mining Companies 2017” report. Fraser is a famous free market think tank in Canada while the survey is an annual study of mining and exploration companies around the world with the goal of assessing how mineral endowments and public policies like taxation and regulations affect exploration and extraction investment. In the 2016 Report, 104 jurisdictions were covered while it was 91 for 2017. These 91 jurisdictions are: 13 states in the US, 12 states in Canada, 9 states in Argentina, 7 states in Australia; 15 countries each in Africa and Latin America/Caribbean, 12 countries in Europe, and 8 countries in Asia-Oceania. These numbers show the investment attractiveness of the 91 places. The index is constructed by combining the Best Practices Mineral Potential index (which rates regions based on their geologic attractiveness) and the Policy Perception Index (which measures the effects of government policies like taxation and regulations on exploration investment (see table). 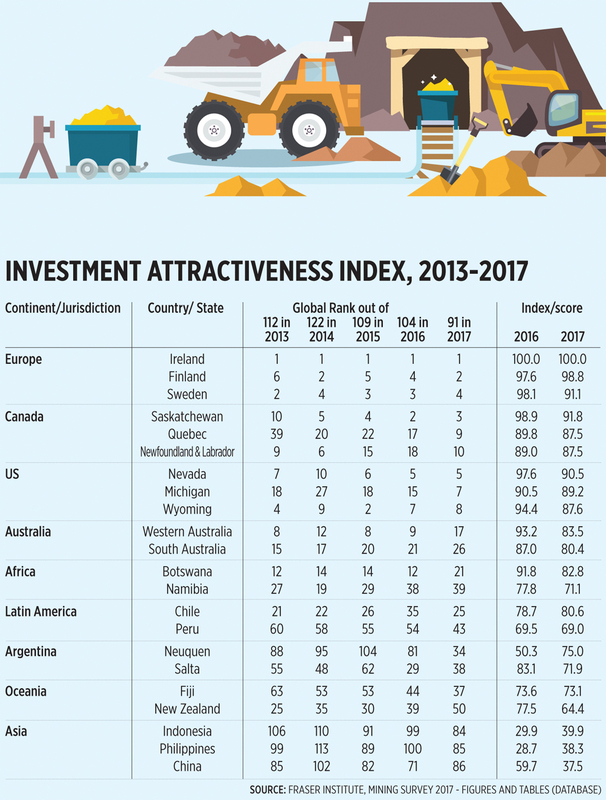 While rich countries in the world like Ireland, Finland, Sweden, Canada, USA, and Australia have business-friendly mining policies as indicated in the table, poorer countries like the Philippines have business-unfriendly policies in the sector. And this can be a good explanation among many other factors why many poor countries remain poor. Nature has given the Philippines and other now poor countries good natural and mineral endowments. Their governments though have given these countries bad policies and extortionary regulations. All the fears of “mineral depletion,” “unmitigated surface soil destruction” and other concerns did not happen in these rich countries. Why? The rule of law. Investments and environmental laws are strictly enforced and followed by all players, big and small, local and foreign. It is not “nature preservation and environmental conservation” that determine sustainable mining and job creation. Rather, it is the rule of law. This is the essence of government raison d’etre or reason for existence. 1. Today: everyone recovered, positive change except the PH's. 2. 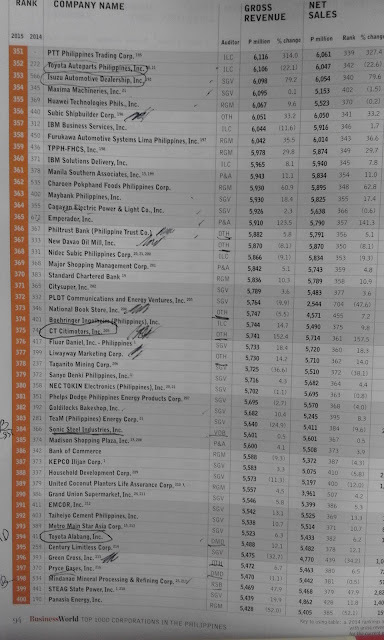 Full month: everyone has a bad month except India, but PH's decline is the biggest, -6.1%; 2nd biggest decline is CN Shanghai, -3.6%. 3. 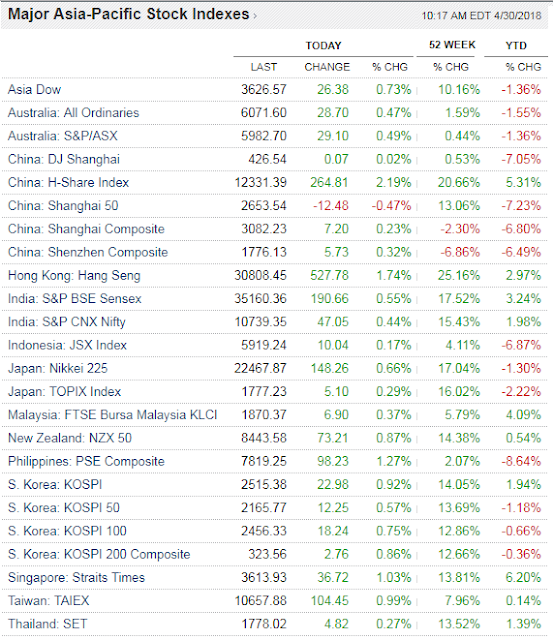 Year to date (ytd, from Jan 01 till today): PH has the biggest decline, -7.3%; 2nd biggest decline is JP Topix, -4.7%. Yes, the PH investment environment is "improving", wow. The Duterte government's assault on business and certain institutions is worsening. 1. Slapping high oil taxes on everyone under TRAIN then force all transpo companies -- jeepneys, UV express, taxi, buses, shipping lines, airlines -- to absorb all such hikes, they cannot raise their fares until now. 2. Closing an entire famous tourism island for 6 months with zero compensation for the affected businesses that were recognized, granted permits and paying taxes, fees, charges, etc by many govt agencies. 3. Threatening to close all mining companies within 6 months if they don't reforest mined-out (and actively-mined?) areas. 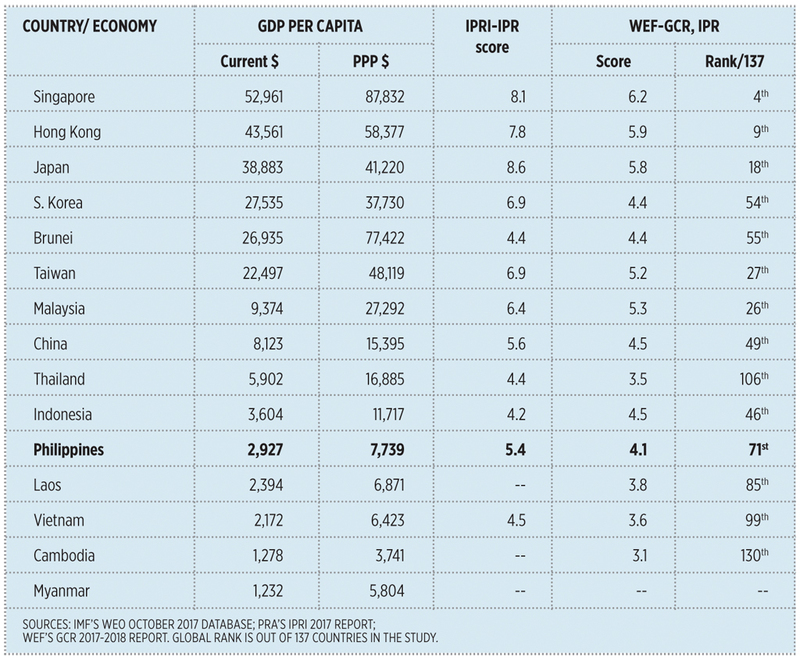 Boracay contribution is only 0.1% of GDP, "very insignificant" according to NEDA bright boys. Mining contribution is 0.6% of GDP despite the closure and suspension of several companies by ex-Secretary "I believe I can fly." 4. Directly attacking the SC CJ and ordering her speedy impeachment. Executive and Legislative are one and the same in attacking the leadership of the Judiciary. 5. High inflation due to TRAIN 1, eroding the peso value of people's and private enterprises' income. And TRAIN 2 is coming soon. And 2nd round of oil tax hikes, coal tax hike, coming in January 2019. 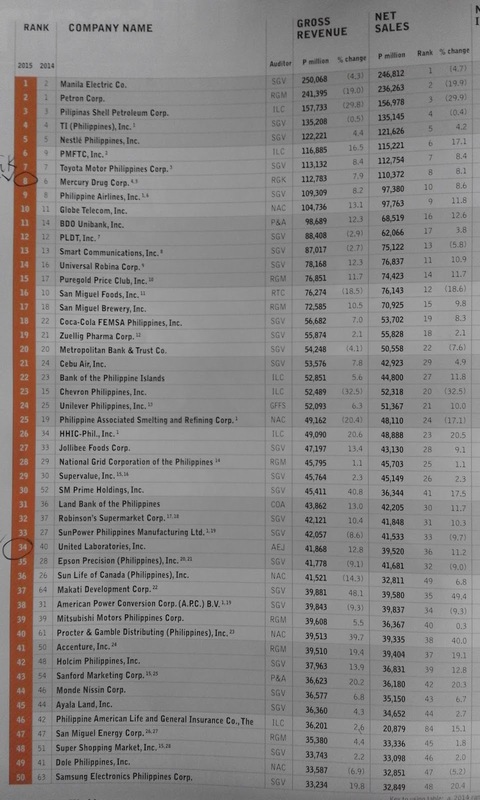 See also: Ytd, PH stockmarket is 3rd poorest performer in AsPac, March 23, 2018. "Boracay island is state property. Thus, the state may decide what to do with it, close it down or take it over." What is wrong, or correct, with this statement? "Boracay is state property." Tiglao is correct. Maybe as it is a legal issue and I am no lawyer to comment on the legal technicalities of it. "state which has ownership of this once paradisiacal island. It therefore may decide what to do with it, close it down or take it over." Tiglao is partly correct and party wrong. There is a difference between ownership of the land and ownership of the structures and development above the land. Like public forest land, owned by the state through the DENR but industrial forestry/ mature trees are owned by private individuals or an NGO or corporate entity that was authorized by the DENR to do tree planting, growing and harvesting, subject to taxes and charges upon harvest. The same way in Boracay, the land maybe owned by the state but the structures, hotels, restaurants, shops on top of it are owned by private individuals and enterprises. These entities were recognized and allowed by various govt agencies -- LGUs (barangay, municipal, provincial), SEC, DTI, BIR, DOT, DENR, DOH, BFP-DILG, etc -- to put up businesses there. If the state via the Du30 government decides to "close it down or take over", the state may do so -- ONLY upon proper compensation of the costs and investments made by private enterprises. If one will insist on zero compensation, just close it down or take over, that is dictatorship and large-scale state robbery. "Bobi’s point in his well-written article is meritorious"
--> No. There was nothing in Bobi's article considering compensation for private enterprises, especially compliant ones. Hence, Bobi's paper just supports dictatorial closure, no justice to private enterprises. "those who put up structures in complete disregard of the law are hardly entitled to invoke the protection of the very same law"
--> Then by extension, those govt agencies that allowed the building of those structures, that gave permits and renewed permits annually, that collected taxes, fees and charges year in and year out, should also be closed, if not abolished. "To set aside all fears about the real motives for the Boracay closure I move to ask the government to appoint Former Environment Secretary Gina Lopez to be the private sector co-Chair of the Boracay Rehabilitation Committee"
I commented that there should be just compensation for the affected businesses and jobs, short- or long-term displacement. 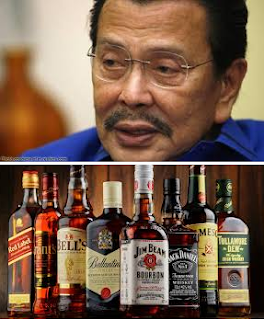 JJ countered that "it should be net of their payment for their contribution to the damage of Boracay." Weird. 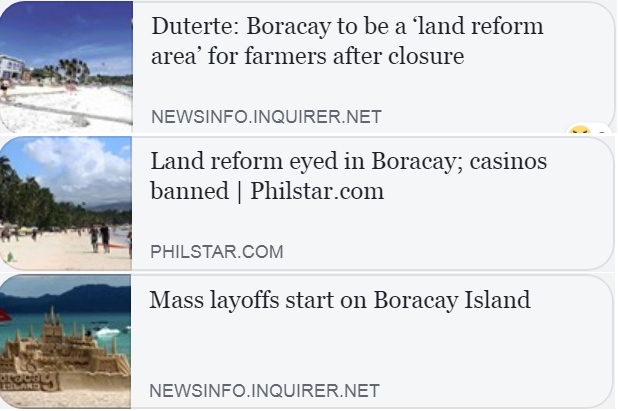 People think that ALL enterprises there have negative externalities to Boracay, no one contributed positive externalities? Millions of people who went there and been coming back again and again only "enjoyed" negative externalities? 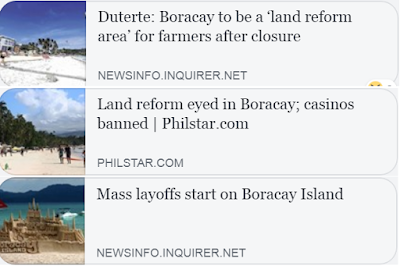 Now see these news reports -- that Boracay is an agri land, not a tourism-hotels-bars-golf course land. And there are many farmers there, not hotel workers, boatmen, traders and vendors. For those who support the total closure for 6 months with little or zero compensation, something to clap and celebrate for you and Digong. PRRD: Now if you are asking of a financial help, we are—I’m going to sign the proclamation of calamity and we can make available about 2 billion of assistance. But these are only for the poor Filipinos. I will not spend any single centavo for those inns there, hotel owners or motels. At iyong magagandang bahay, do not expect me to pay anything. That money is only intended for the Filipino. Iyong mga foreigners neither reparations or renumerations. 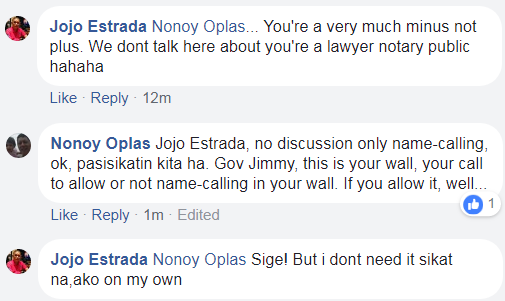 Eh sila iyong pumasok diyan, they should know na bawal. Iyong 2 billion diyan and the other help of—each department has its own contingency plan. So mayroon magtulungan kami. But master plan wala akong master plan diyan, linisin ko muna iyan kasi agricultural iyan. So maybe after that, I’ll give the farmers—i-land reform ko na iyan mas mabuti pa. I’ll tell you now. I-land reform ko lahat iyan then I’ll give it to the farmers. Me, I’ll give them the tractors, iyong ano—agricultural eh. Eh ‘di ibigay ko muna sa—bago ano iyang—well sabihin ninyo, how about the business? Well, I’m sorry but that is the law. The law says it is forestal/agricultural. Why would I deviate from that? Do I have a good reason to do the what? What? Mga casino? Who owns the casino? Hotels? Big ones. Who owns them? Eh mga mayaman pati iyong mga dayo. Eh agricultural man kaya iyan, eh ‘di ibigay ko sa farmers. You want to know now? I’m going to read the announcement. It is going to be a land reform area for the Filipinos. Now, if they want to build something there, they can build in a floating—unahin ko iyon, lilinisin ko lang naman, ibalik ko sa Filipino iyong lupa nila. PRRD: Walang akong plano diyang casino-casino. 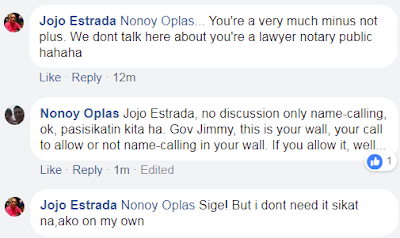 Tama na iyan kasi sobra na. May casino dito, casino doon. Give it to the people who need it most. That is an announcement: It will be a land reform area, period. * This is my column in BusinessWorld on April 8, 2018. Among the common strategies used by an oppressive policy or government is to subsume and disregard individual concerns and put the community and society on top of almost everything. The Tax Reform for Acceleration and Inclusion (TRAIN) law has raised energy taxes, sugar taxes, and other taxes to “compensate” for the cut in personal income taxes. Household concerns about the acceleration of inflation were muted in the crafting of the law because of the supposed higher communal and societal interests such as Build, Build, Build and other welfare programs including free education, health care, irrigation, among others. The premise is that the Build program is not possible without higher taxes, without new loans especially from China communist government, and that existing taxes and welfare programs are still insufficient. It is a flawed and lousy premise. Now the households’ feared concern of accelerating inflation has taken place. This is shown by the numbers in the graph which covers the four richest economies in North America and Europe and Asian economies. 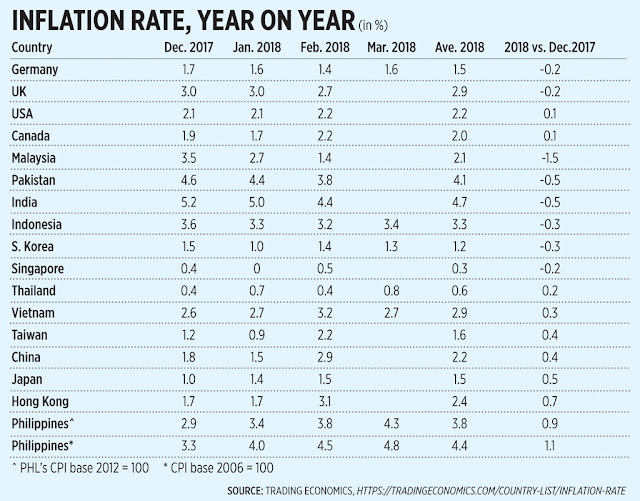 As of this writing, some countries have reported their March 2018 inflation rate and the rest have not. An average for the two or three months of 2018 is taken and compared with the numbers for December 2017 as base year (see table). The Philippines is the outlier here, posting a higher inflation rate than the rest despite three things. One, despite the fact that all countries were affected by higher world oil prices, some even experienced decline in consumer prices. West Texas Instrument (WTI) prices rose from $43/barrel in 2016 to $51/barrel in 2017 and $63/barrel average for January-February 2018. Two, despite the fact that pass-on rates of higher oil taxes and other tax hikes have not been implemented yet. Fare hike petitions by jeepneys, UV express, buses, shipping companies, and airlines have not been acted upon. Three, despite the sudden rebasing of the consumer price index (CPI) from 2006 = 100 to 2012 = 100 by February 2018. There are two moves by government to control further damage wrought by its huge oil tax hikes. One is to not act or grant all fare hike petitions this year, forcing all public transportation companies (land, water, and air) to endure and absorb the high oil tax hikes. Two, it can delay the approval of all fare hikes until late 2018, then allow the second round of the three-year oil and coal tax hikes by January 2019. It can also further delay second round of fare hike adjustments to late 2019. Are these high oil tax increases of nearly P7/liter in three years, including higher coal, sugar, and other taxes really necessary to finance Build, Build, Build? This was indirectly answered in the forum, “Financing Inclusive Infrastructure” by Stratbase-ADRi last week, April 5 at The Tower Club in Makati City. The main speaker was Dr. Alvin Ang of Ateneo Economics department. Alvin identified two main sources of funding big infrastructure and Build, Build, Build via foreign aid/Official Development Assistance (ODA) and/or Public-Private-Partnership (PPP). More ODA obviously would mean more taxes to pay for big loans from foreign governments like China or from multilaterals like the World Bank and the Asian Development Bank. Alvin did not differentiate between integrated PPP (construction and O&M done by one entity) and hybrid PPP (construction and O&M done by two separate entities) but he was implying the latter. And he suggested that either way, ODA or PPP financing remain desirable and a lesser problem compared to execution problems like right of way, corruption in procurement, and budget bottlenecks. As argued in previous papers in this column, the policy reversal of this administration from integrated PPP to hybrid PPP so that more loans particularly from China will be “needed” is wrong. Many local private players can finance big infrastructure on their own and hence, will not need TRAIN tax hikes leading to higher inflation and more business uncertainties. These local players are more than willing to finance and operate big local infrastructure because they intend to become big PPP players in the region now, and the world someday. The mistake of TRAIN 1 in high energy taxes can be corrected by the TRAIN 2 bill now in Congress. Like a significant tax cut in corporate income (from 30% to 15-20%) with few exemptions, and discontinuation of oil and coal tax hikes in 2019-2020. Towing and clamping of vehicles for various types of "illegal parking" is a big business for LGUs in Metro Manila, from MMDA to city/municipal governments. 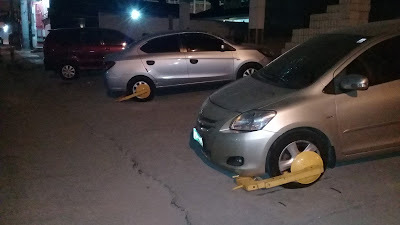 I think there is a silent competition between MMDA and city governments to get more money from motorists. 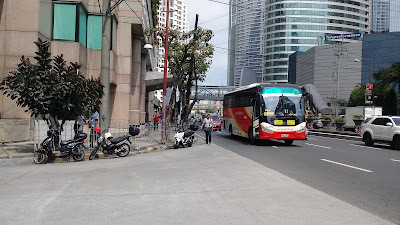 I took this photo in Bagtikan St., Makati last March 06. 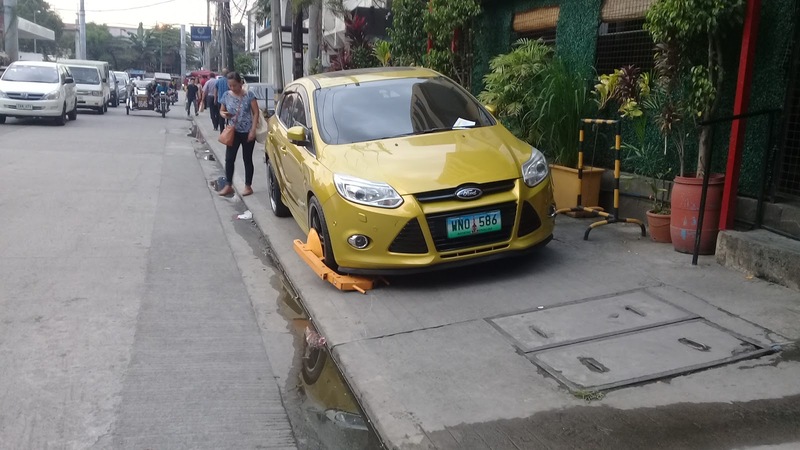 This car has intruded into the pedestrian lane, Makati City Hall personnel has clamped it, fine is P1,900. April 5, Talisay St., Makati. Not far from Bagtikan St. Also clamped by Makati LGU personnel. April 6 evening, not far from Zubu Chon resto, Talisay st. Makati. 3 cars that evening. There are exemptions to clamping, of course. 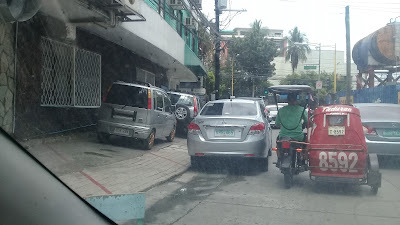 This office/resto on the left has several parked cars near the intersection of Bagtikan-Kamagong Sts. 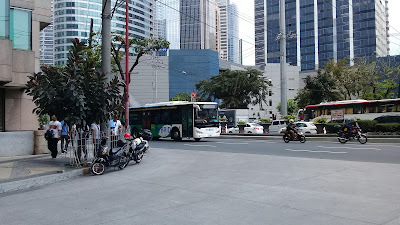 Makati, almost daily but none seems to have been clamped. Maybe the owner of the place has friends up high in Makati City Hall? It's not all bad as I notice that traffic flow has also improved with one-side street parking, instead of the previous two-sides parking. 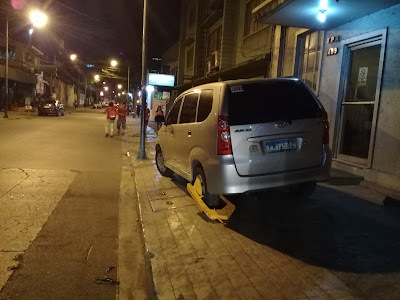 The big problem is insufficient paid parking areas, forcing some motorists to gamble parking very briefly and risk their cars being towed or clamped within a brief period, or not bringing their cars, or avoid going to Makati as much as possible. These motorcycles, illegally parked in an intersection of Buendia avenue and Axa building. If these are owned by ordinary mortals, they will be towed or clamped. But the owners of these motorcycles are "not ordinary" citizens, they are personnel/employees of Makati City Hall apprehending and issuing violation tickets/fines at people who violate the anti-pedestrian crossing regulation. In short, they can violate traffic rules because they will not be penalized by their fellow City Hall employees and friends. I am reposting this beautiful article by a friend and Chairman of the Lion Rock Institute in Hong Kong, Nick Smith. Too many "bright" boys and girls these days and they think their "bright ideas" should be legislated and enforced/imposed on everyone else in society. Enjoy. Open any op-ed page of most newspapers (at least the English language ones that I read) and you enter the world of “should” and “must”. Many, on some days most, of the opinions expressed are about what others should be doing, or must be compelled to do, to make Hong Kong/the world a “better” place. Many of you in my age group may remember a world when the advice of our mothers tended to include well-worn phrases like “mind your own business”, “live and let live”, “don’t interfere” and similar pieces of ancient wisdom. Underpinning this view of society was the thought that you should look after your own affairs and not interfere with others in pursuit of theirs. This had the admirable result that one focussed on one’s own responsibilities, rather than spending energy trying to alter the activities of others. I think the benefit of that concern with one’s own life and accountabilities first has been lost at a great cost. Today, the focus is not on what you are going to do with your life but an obsession with why others are not helping you. I am not sure when this view of an individual’s role in society changed. But it seems to me that there may be a link between the public policy angle to this and the “social” aspect. Let me explain. 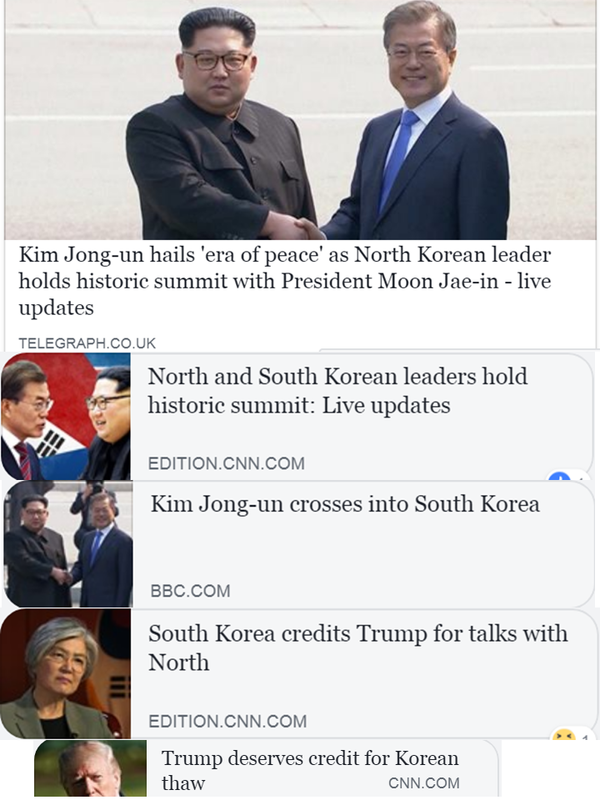 As expectations of the role of the state have changed, so has the focus of discussion in newspapers’ pages shifted. Politics in the West was largely a class-based debate in the postwar period; rights in the workplace etc. The idea that the state could have a role to play in all walks of life, including what happens within a family was not thought of. But as the interventions of the state have grown, then the need for ordinary citizens to take an interest in, and push for, policy changes has also grown. Because public policy will affect your daily life, the need to be heard grows. Op-ed writers accordingly appeal to you to support their pet way of changing the world. And you may take an interest, because if the state responds and enacts laws, then indeed your pet project may be forced on everyone. If you don’t take a position, then perhaps someone else’s pet project will be imposed upon you. What is, for many, a natural aspiration to want society engineered into a shape that they desire, leads politicians to propose such schemes for popular support. The process becomes self feeding. The more states seek to enact legislation to intervene in more and more areas of previously private conduct, the more important it is to push parties to adopt your pet scheme. That “activism” then motivates and empowers the State to increase the intervention yet further. As I indicated, this had gone far beyond the push to protect employees in the workplace. Today, well meaning folk will write urging parents to stop their children from using smartphones, urging laws against sugary drinks, and so on. Already in the West the range of behaviours in the home for which children can legally be taken into care is quite astonishing. Gradually as the spiral of ever more policy intervention gathers pace, what for all of human history has been the responsibility of parents is now being assumed by the State particularly in Europe. The extent to which this assumption, that there must be intervention in every aspect of society, was borne out for me when reading an op-ed article last week on school curricula. Written from the perspective of desiring more “diversity” of thinking amongst the younger generation, the writer actually uses the phrase “schools must teach respect for different views”. There is no way, in that authors’ view, to have respect for diverse opinion unless we force schools to teach it. And of course there must be a common platform of curricula content and means of analysis. The writer seems not to see the irony in compulsory education on freedom of thought. So much for the public policy aspect of this. What about the social sphere? My belief is that the “social justice warrior” world that Western societies have now entered is in effect an extension of this public policy dynamic into all of social life. Look at discrimination as an example, there are inevitably limits to the effective enforcement of anti-discrimination laws by the state, as these have grown since the 1960s. Those “should” “must” citizens, to which I alluded at the beginning of this piece therefore move into the social sphere. Enforcement can now move on from the state, to impose social penalties: ostracism, shaming, career destruction. Many have been claiming that this is somehow caused by social media. I disagree. It is of course enabled by social media but the cause is much deeper. If politics is conducted in a way that if your group can command enough support, it can enable you to enforce your mores on the whole community, this encourages behaviour in the social sphere towards imposition of your view. The effect is more frightening however. In politics, there are some institutional constraints on the speed with which this happens and on the levels of madness it assumes. In the social context, no such restraints exist. In the West today, it is no longer enough to obey the law and “mind your own business” (and it is hard enough to know all the laws you are required to obey). Now you need to adhere to an ever changing morass of “social” codes of behaviour the breaching of which may lay you open to social exclusion. Even more concerning for freedom of thought and behaviour, is that these codes are applied retrospectively. Even the law is seldom does that. But today you can be found to have transgressed a new social code of behaviour 30 years ago and have your social standing destroyed. You should have known that, 30 years later, it would have become “politically incorrect”. Now you might be thinking that this is only a problem in the West. The East is of a different culture and could never see such a transformation. I am not so sure. The media flows that influence so much of the thinking of new generations are now global, not local as they were 50 years ago. A slide into a world where your peers try to impose what you “should” and “must” do in every aspect of your daily lives, may not be too far ahead. There is a thought for a Happy New Year! 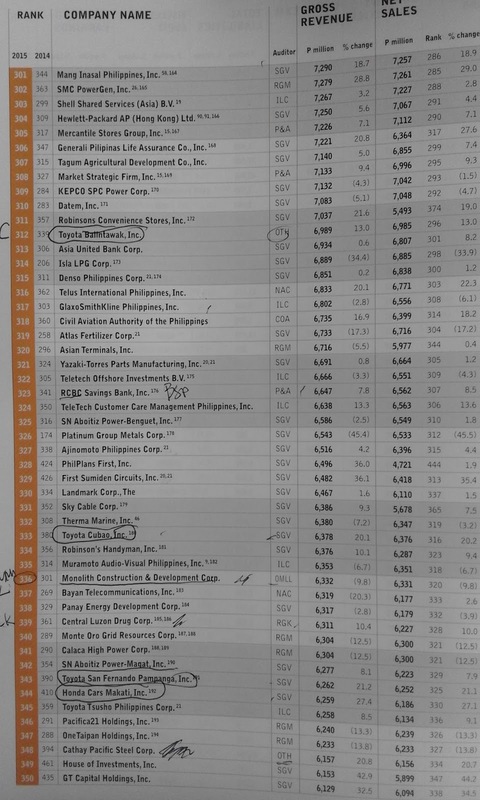 * This is my article in BusinessWorld last April 5, 2018. The forced closure for several months by the Duterte government of all resorts, hotels, restaurants and shops in Boracay, both errant and compliant enterprises, raises the question of private property protection and compensation for the affected private owners. On Twitter, I asked NEDA, DoT, DENR, and Malacañang if they will compensate the losses of the environment-compliant enterprises, especially since the amount is “very insignificant” anyway. Or would the Duterte government not care because this is just tourism in Boracay and not in Davao? As expected, the response I got from the government was the sound of silence. In 2017, at least 3.7 million people visited the island, less than a million of which came from abroad. There was also a surge in tourist arrivals in the first quarter of 2018 partly due to cruise ships that visited Boracay. For this year, 27 cruise ships were set to visit the island and some have already canceled. Tourism is an important revenue earner for an economy or a country. The Philippines being an archipelago with lots of beautiful islands and white sand beaches is unable to optimize this potential yet. 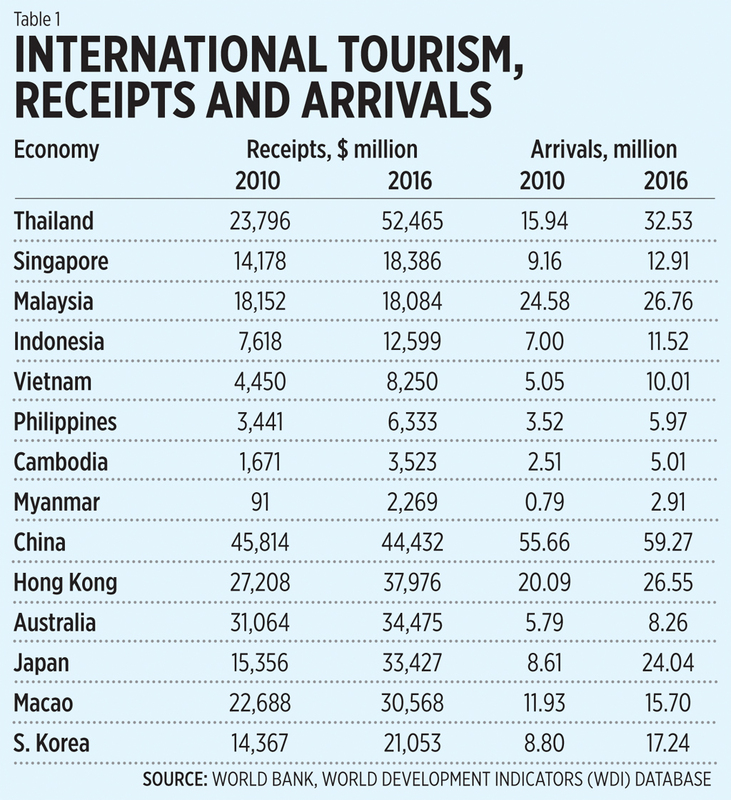 For instance, tourism receipts in 2016 was only one-third (⅓) that of Malaysia and Singapore and one-eighth (⅛) that of Thailand. 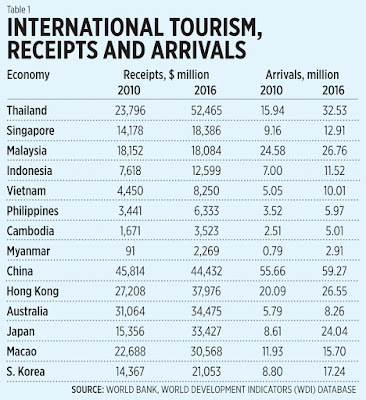 In terms of visitor arrivals, the nearly six million visitors in 2016 was good enough but at the rate Cambodia is attracting visitors, it might overtake the Philippines in about three years (see table 1). 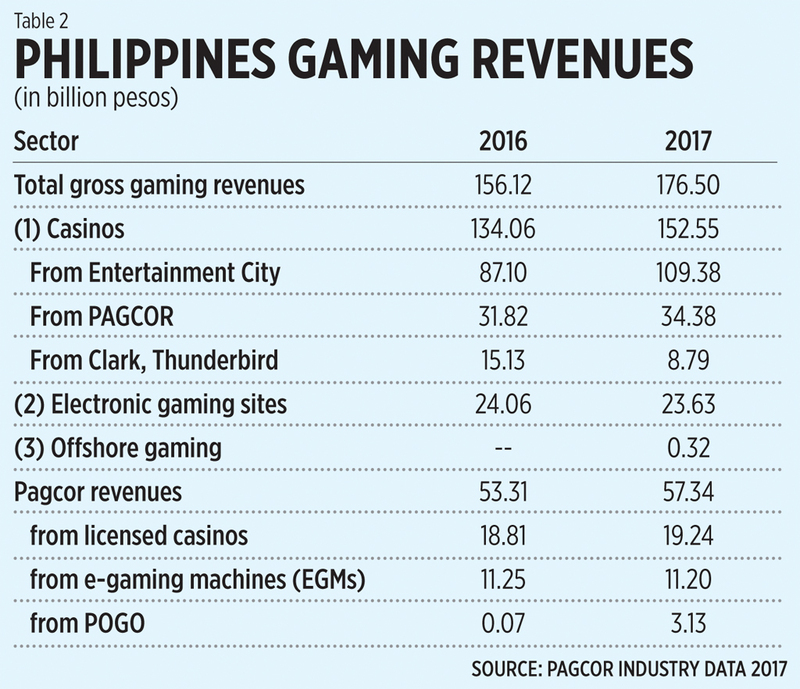 A rising tourism earner in the Philippines is the gaming sector. Huge hotels and casino resorts have sprouted in Metro Manila and more are poised to come in. A friend who works in one of the big hotels at the Entertainment City told me that the minimum bet at the casino is P2,000; the maximum bet of course is the stratosphere. Only rich locals and foreigners would have the resources to make that kind of bet. The extent of job creation in the casino is very high with lots of workers and security officers being employed. 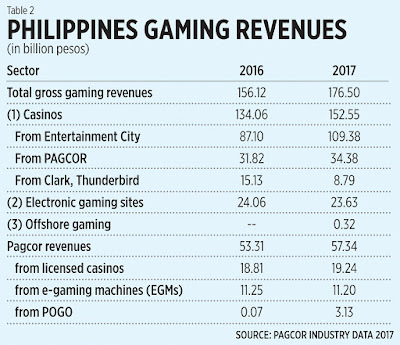 Revenues for the big hotels and the government-owned gaming regulator and operator at the same time, PAGCOR, are huge (see table 2). 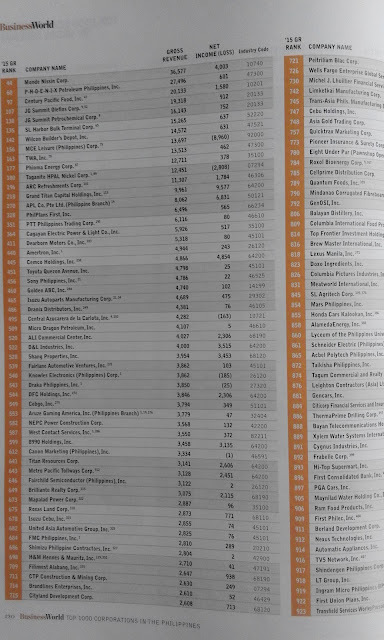 Based on these numbers, one thing is noticeable — revenues from Philippine Offshore Gaming Operations (POGO). These are Philippines-based online gaming outfits that exclusively serve foreign markets and players (which means people in the Philippines cannot access their games). The same friend told me that the bulk of gamers in this new trend are from China. 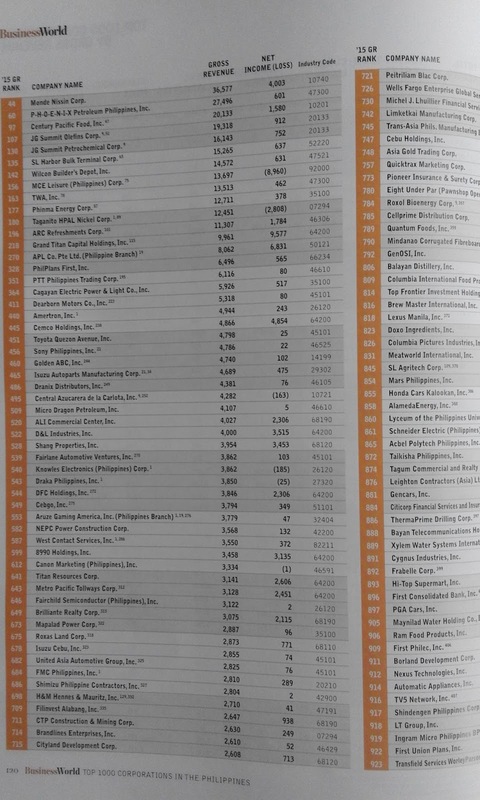 In terms of installed capacity, Pagcor has the biggest number of electronic gaming machines with 9,751 in 2017 vs. Okada’s 2,914, Solaire’s 1,926, City of Dream’s 1,781, and Resorts World’s 1,381. Two big hotel-casinos are coming to Boracay soon. The timing of their planned entry has added suspicion to the wholesale closure of the island from tourism. It is possible that the forced closure with no government compensation will drive many resorts to bankruptcy and this will open up new space for new players like these two big hotel-casinos. The Duterte administration’s wholesale closure of Boracay for months is tantamount to indirect expropriation of private businesses. This sends bad economic signals to local and foreign investors. It also sends a bad political signal to the federalism push. The central government purports to give more power to the provinces and regions then it moves to totally disempower them. 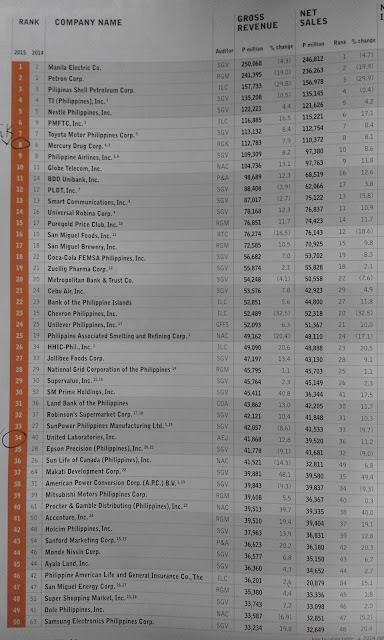 However you look at it, the move is bad for Philippine business, bad for ordinary Filipinos. Batista d wrestler: half-Filipino, half-American. Fidel Ramos: half-Filipino, half tobacco. 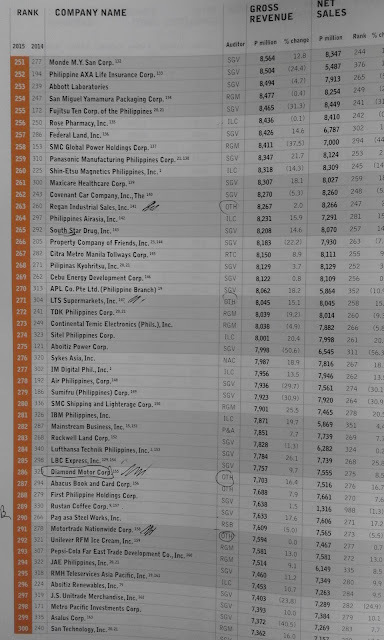 Belated posting, BusinessWorld's Top 1,000 Corporations 2016. 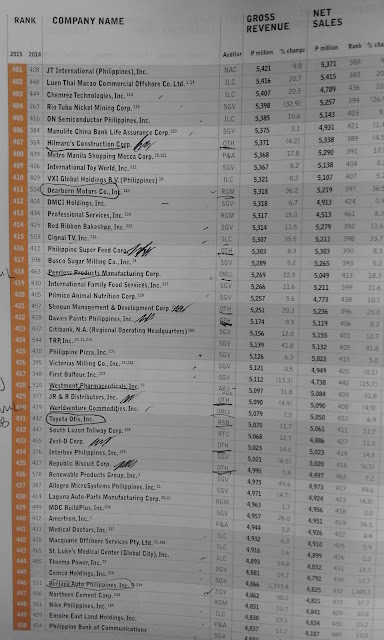 The numbers were revenues and sales in 2015. Top 10: Meralco, Petron, Shell, Texas Instruments, Nestle, Philip Morris Fortune Tobacco, Toyota, Mercury, PAL and Globe. * This is my article in BusinessWorld last Tuesday, April 03, 2018. Several recent events in the Philippines energy sector which when implemented, might mean an extended and long-term penitence for electricity consumers nationwide. The ConCom chairman’s plan will open up a floodgate of endless environmental militance. It will be harder for companies to put up new airports and expressways, new malls and commercial districts, new factories and industrial zones, new universities and residential condos, new coal or gas plants because militants and environmental lobbyists can easily assert that the area is “reserved” for nature. But they can easily lobby to put up expansive “green” solar plants, wind farms, etc. If that is the case, government should prohibit candles and gensets in cases of brownouts. Gensets are noisy and run on diesel and hence, very polluting. Candles often cause fires. People should rely only on intermittent wind-solar as much as possible. If the wind does not blow and if the sun does not shine, people will be then left to endure brownouts. This is related to the second event as there are many anti-coal groups which also hate any brownouts that coal plants precisely want to prevent. In August 2012, a group of ecologist-militants and allied organizations have successfully stopped the construction of a 600 MW coal power plant in Subic on the “writ of kalikasan” argument issued by the Supreme Court. The delay in the construction of that big power plant has contributed to higher price pressure in the Luzon grid in recent years. Anti-coal activists think that all MW are the same. A 100 MW from wind or solar plant at 11 a.m. can become 20 MW or 5 MW at 11:05 a.m. when the wind suddenly stops blowing, when clouds grow dark, or when it rains. Whereas a 100 MW from coal or gas will be 100 MW for 24 hours whether the wind blows or not, whether it is a sunny or cloudy day or night time. 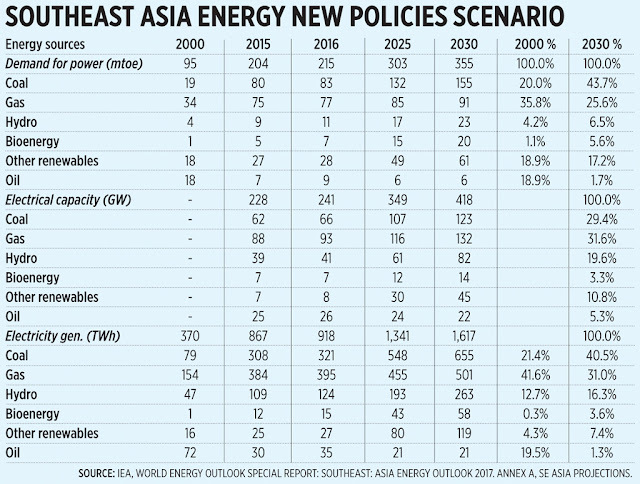 Below are some numbers for ASEAN countries from the International Energy Agency (IEA). Demand for power generation is in million tons oil equivalent (mtoe), electrical capacity in Gigawatts (1GW = 1,000 MW), and electricity generation in terawatthours (TWh). 2000 and 2015 data are actual, 2016 are estimates, 2025 and 2030 are projections (see table). 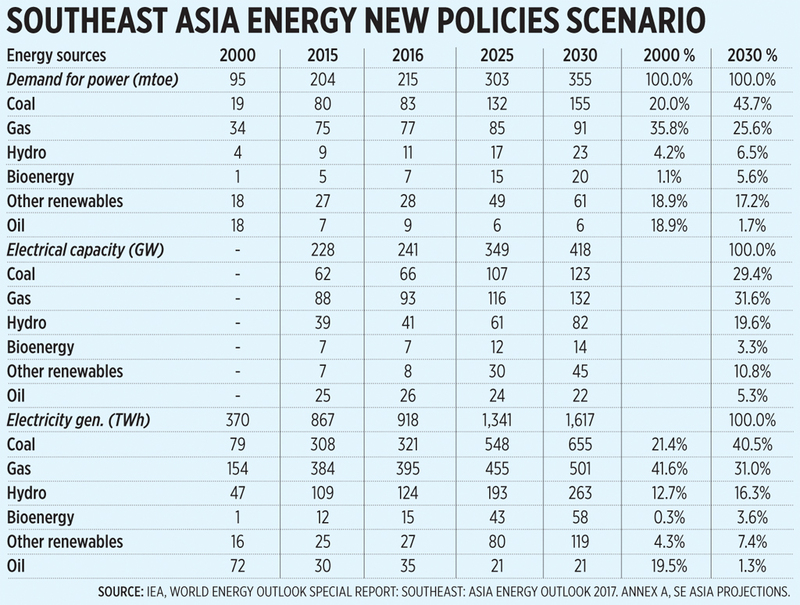 Check out the numbers for coal — projected electrical capacity in the region in 2030 is only 29% of total but projected electricity generation is 40% of total. The opposite is the case for other renewables (wind, solar, geothermal), nearly 11% of power capacity in 2030 but projected to produce only 7.4% of actual electricity. If geothermal is removed from this group, electricity generation will become even smaller. It is not wise that environmental militance be incorporated in the Constitution. Any environmental advocacy should be done via legislation, not put in the charter. The ERC should also be wary not to commit anything to the anti-coal groups because they hop from one venue to another to promote their ecological-socialist agenda. Compared to other billionaires, Elon Musk is not that rich actually. The PH's richest man has more money than him :-) But people often mention Elon nonetheless. 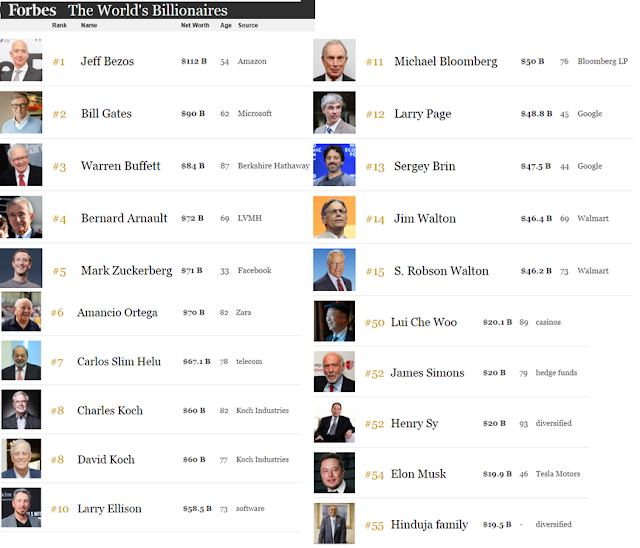 Forbes' 2018 billionaires. April 1 this year, there was one headline saying that "Elon to buy facebook then delete it." It's a "fool's day" news of course. Comparing the wealth of Zuckerberg and Musk, the non-fool's day headline might be "Mark to buy Tesla and convert all of their cars to gas engines." And make money even without any government subsidy. Without US govt subsidy (about $7,500/car) for Tesla cars that Elon sell, he could be a single digit billionaire only, somewhere 150th+. 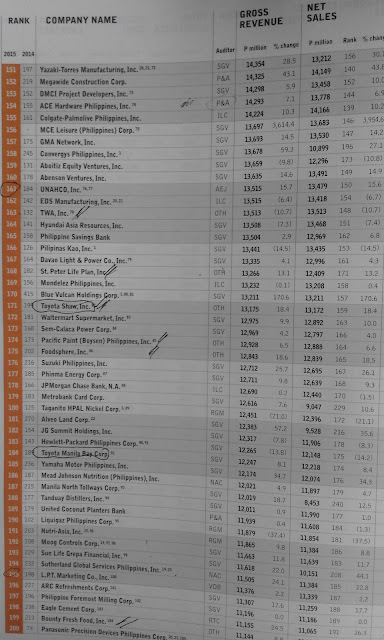 Real time wealth, Musk is now at #66 with $18.1 B. If family wealth is considered, the richest people in the planet are the Waltons, owners of Walmart. Combined wealth of Jim, Robson and Alice is $138 B. Second would be the Koch brothers with $120 B. 3rd-4th would be Jeff Bezos and Bill Gates. On Trump, he is "poor" compared to these guys. Henry Sy and family would be at least 6x richer than him. A friend commented that Trump's wealth was "propped up by money from the Russian Mob". Wrong info. 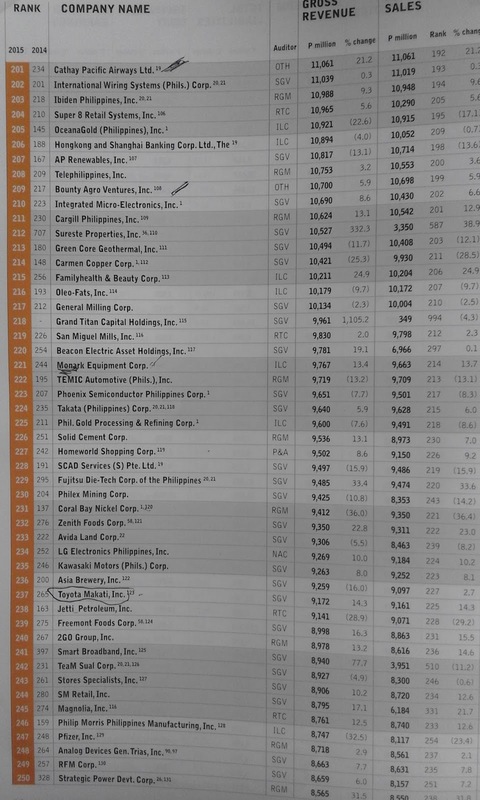 I read one Forbes article saying that his wealth has declined by $0.4 B, he's at #766 with only $3.1 B in the 2018 billionaires' list. On Uber merger with Grab in SE Asia (not just PH). It is business prerogative to enter a market and make money, it is also business prerogative to exit a market and pull out its money. Should be no big deal for us. I think it is Uber HQ's decision in the US to pull out partially or fully (someday) from SE Asia. Why, perhaps they just want to get their money and put it elsewhere, maybe strengthen their US and Europe presence. It's their capital. What should worry us is if government -- via the LTFRB, DOTR -- will bureaucratize a new PH tech company/ies that will rival Grab. Uber is US-based, Grab is SG-based. Perhaps it is time for a PH-based tech company to venture in this business. My advice to friends who use the "Duterte/LTFRB harassment of Uber then merger with Grab", maybe Yes but very likely No, so don't pursue it. I think this is a purely business decision by Uber HQ. The good thing is that Uber has inspired many local businesses here to copy their model, improve on it then dream big. Capitalism always encourages innovation. 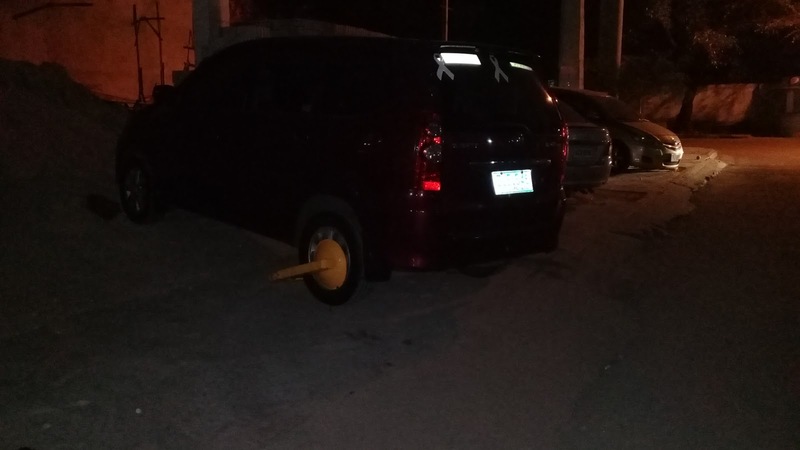 The bigger innovation would be how to baffle the LTFRB bureaucrats here so that a tech company won't be harassed and treated as a regular taxi company. Uber HQ by now may have realized that they did not factor in well how different the Asian transportation bureaucratics are compared to the US and Europe transpo bureaucrats. They may have to tweak their system then come back later. Regular taxis are still the main competitor of Grab-Uber, so there is no monopoly. Taxis can also provide good service like cleaner cars and seats, more courteous drivers. But more than convenience, the main advantage of tech companies is transparency and hence, better safety. The passenger already knows the name and plate no. of the car that will pick him/her up, the same for the driver, he/she knows the name of passenger even before they meet. In contrast, taxis are known beforehand to LTFRB regulator-bureaucrats but not to the would-be passengers. "It was a failure in the open market by the drivers, the investors in cars, the investors in the business. I'm for a safety net but not for bailouts. The market mechanism is for reposession of the collateral. If an investor in cars for use in an Uber business model signed a cross-collateralization agreement, deficiency remediation provision, or worst, personal guarantee, then it was their stupidity to have signed those legal remedies. Why should anyone bail them out? Under the reposession case, the price of used cars will come down which may lead to lower brand new car prices as well. The consumer wins. 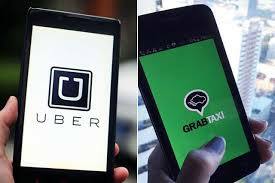 THE LAND Transportation Franchising and Regulatory Board (LTFRB) is currently processing the applications of three transport network companies (TNCs), which are expected challenge the dominance of Grab Philippines…. Lag Go, Owto, and Hype. 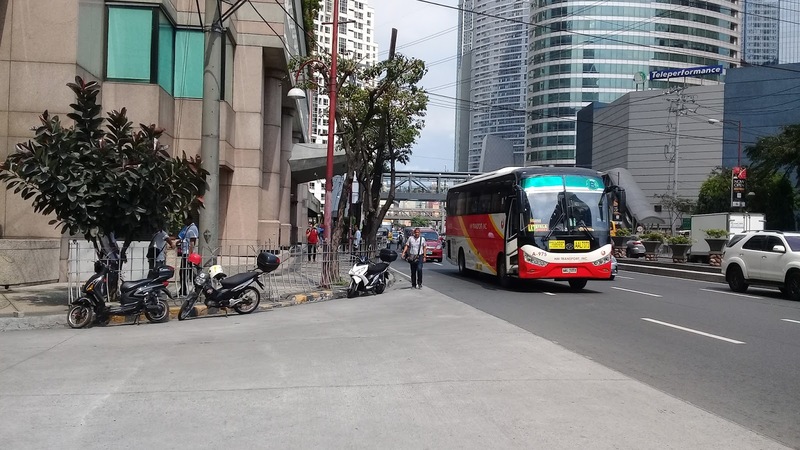 If granted franchises, the vehicles of the accredited TNCs will be part of the common supply base of 65,000 transport network vehicle service (TNVS) in Metro Manila. Indonesian ride-hailing and online payment company Go-Jek earlier said the company aimed to set up operations in the Philippines this year. “With the increase of supply base under one app, you should see allocation times get better because the density of cars across the map gets better. So it’s easier to allocate. So if it’s easier to allocate, the surge would not be as frequent as before,” Grab Philippines country head Brian P. Cu said said in a press conference. Mr. Cu said they expect around 20,000-24,000 drivers from the Uber system, based from the master list of the LTFRB. 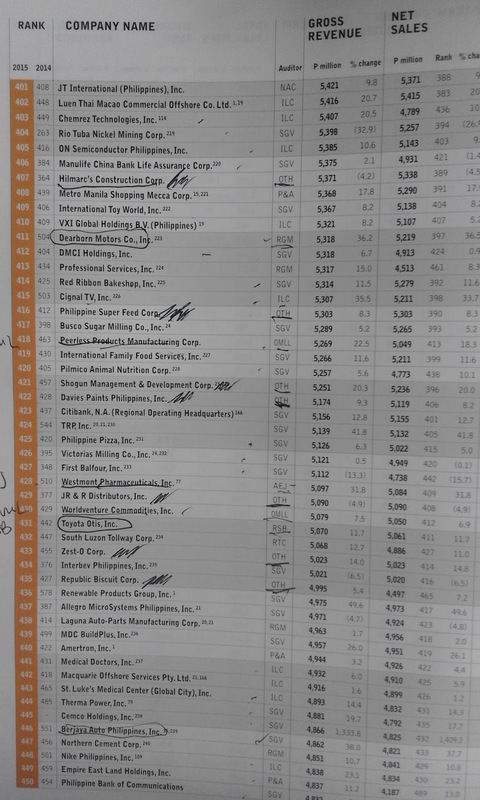 The total merged number is estimated at 55,000-65,000 if all drivers from the Uber system transfers to Grab.